The Banbury guest bed from Gallery/Dreamworks offers great value as the whole frame is made from solid oak and acacia hardwoods and finished in a grey paint. When assembled it offers a strong and durable bed. The Banbury guest bed is the only wooden guest bed on the market that is supplied with Slimline 1000 pocket spring non turn mattresses. So it offers more comfort than any guest bed with coil spring mattresses. The top and bottom bed are full size single mattresses, so when the under bed is pulled out and lifted up it opens up as a super king size. 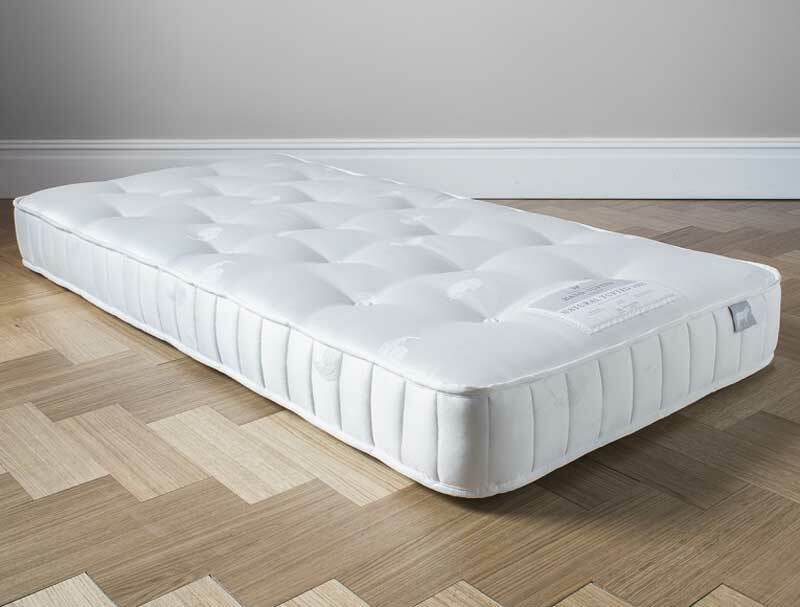 We supply this guest bed from stock with Gallery/Dreamworks Slimline 1000 pocket tufted non-turnable mattresses which generally retail at £299 each. So you get an oak guest bed frame with 2 pocket spring mattresses at £699, this offers great value. 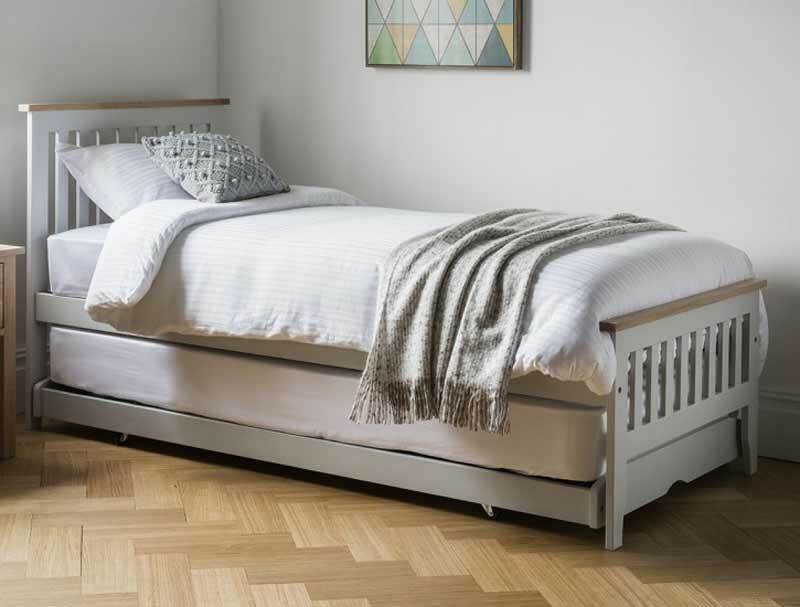 Like any wooden bed frame or wooden guest bed this will be delivered to you flat packed for home self-assembly.